Christopher Morley Tennis is (CMT) the premier tennis facility on the North Shore of Long Island, conveniently located north of the Long Island Expressway in Christopher Morley Park, a beautiful 98-acre park with golf, basketball, athletic fields, swimming and more. 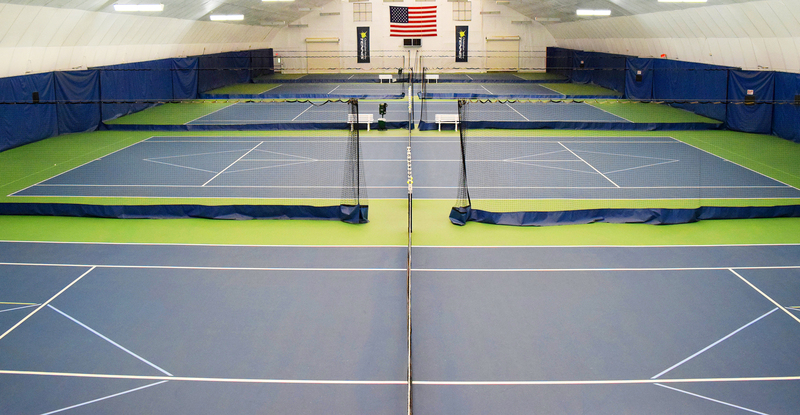 The state-of-the-art tennis facility features five new indoor hard courts and five HarTru courts for year-round play. Christopher Morley Tennis offers court rentals, adult and junior private and group lessons, leagues and high performance training. Christopher Morley Tennis is known to have one of the best high performance junior programs in Long Island, with coaching by Alex Bogomolov, an ATP 33-ranked player. CMT’s top juniors are currently ranked sixth, eighth and 15th in the country for 15 & Under, and they recently achieved first and fourth place finishes at Super Nationals. In addition, CMT’s Red, Orange and Green Ball groups cater to junior players at all levels. CMT is proud to be the home club to more than 25 USTA teams, including Junior Team Tennis, and many of its USTA teams have competed in local, regional, sectional and national competition. Due to exceeding demand, CMT has collaborated with Port Washington Tennis Academy to offer programming at their facility, providing access to an additional 17 courts. Throughout the year, Christopher Morley Tennis holds special holiday programs, tournaments and fundraising events. During the summer, CMT has a tennis intensive camp and a high performance camp. At Christopher Morley Tennis, we strive to offer an array of recreational and competitive programming options under the direction of top-notch pro staff, with no membership fees. For more information, e-mail Info@CMTTennis.com.